The resources from the most recent version of the classes that I teach with Ryan Stroupe at the Pacific Energy Center are posted below. These classes tend to build off of each other. 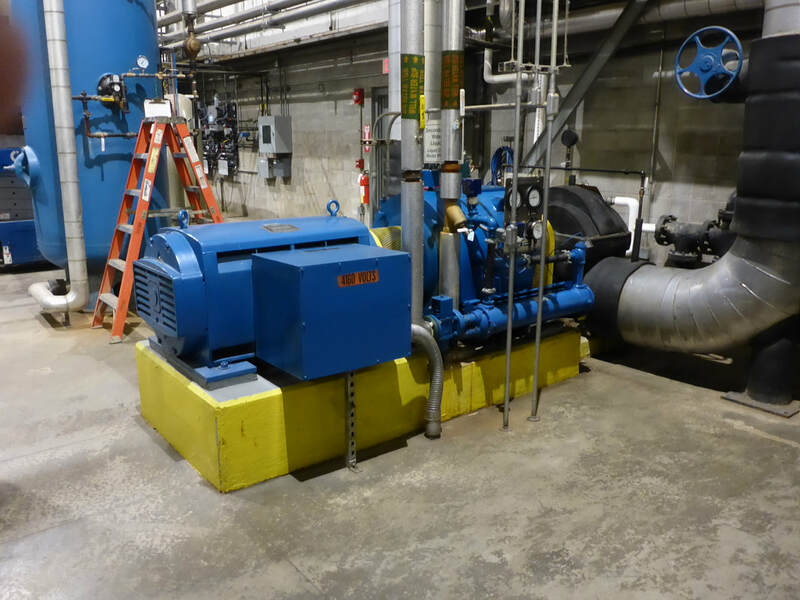 For instance, the Chilled and Condenser Water Systems class assumes you are familiar with the materials in the Pumps and Pipes class. So, if you attended a class and we reference materials from a previous class that you did not attend, this is where you can find them, just scroll down until you find the class you are looking for. 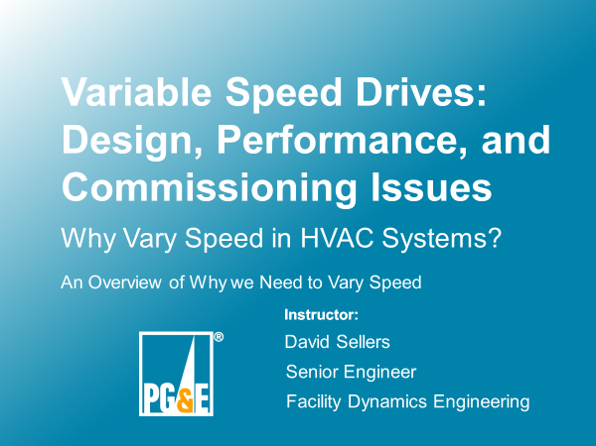 These are the materials for the Variable Speed Drive class that was presented at the Pacific Energy Center on December 12th. The Follow-up zip file contains additional information that came up in class. It includes a "READ ME" file that describes the other files. 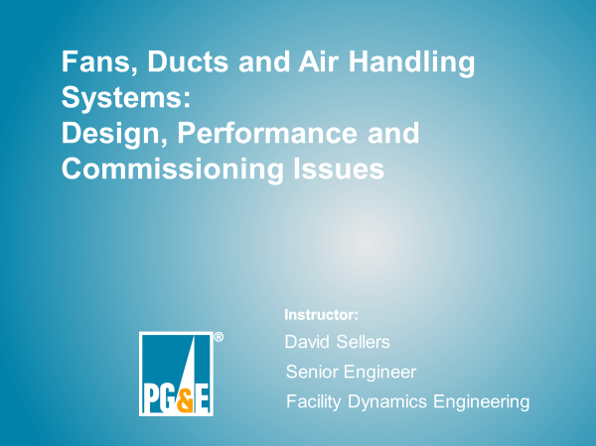 These are the materials from the November 11, 2018 Fans, Ducts and Air Handling Units class. Note that the follow-up folder contains a "Read Me" file that describes what the other files are. This is the space where I will upload the materials for the upcoming class on Wednesday, October 24, 2018, which is a class that focuses on developing and using logic diagrams. I have already started that process , but there will be some items that I will add later today or early tomorrow morning. So, if you download something today (October 23, 2018), you should still check back in the morning after 7:00 AM to pick up any additional materials. Note that the Followup file includes a READ ME file that describes what each of the files it contains are about. I do not have access to the files Ryan and Lyn presented as of this time. But I think Ryan is planning to send those out separately. Get in touch with me if you don't receive them from him and I will follow-up. These are the materials from the Control Systems class and include the lab guides we use in the hands-on afternoon session. Even if you did not attended that activity, you might find the lab guides to be useful because they contain a lot of information about the equipment and controllers we used in the lab sessions. Note also that the follow up materials folder includes a READ ME file that describes what the other files are. 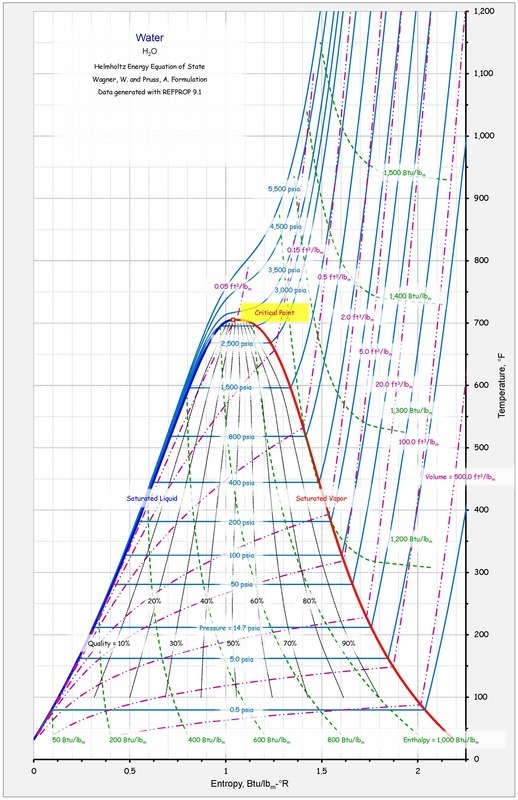 System Diagram Concepts including key concepts., tools and development resources, and water vs. air system diagrams. Note that the READ ME file for the follow-up files is in the Follow-Up Materials 01 zip file. 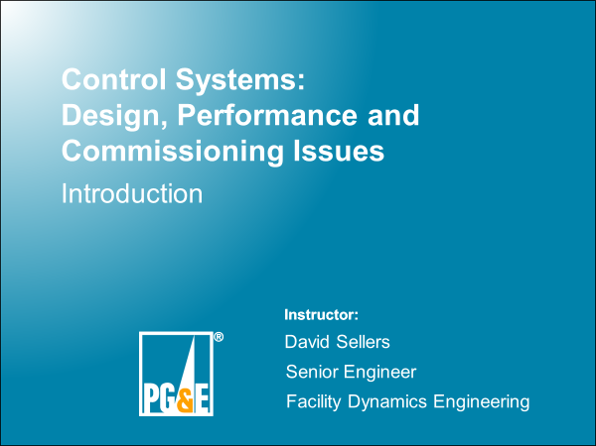 This is a class that focuses on Retrocommissioning Skills and is also a prerequisite for taking the year long Existing Building Commissioning Workshop at the Pacific Energy Center. 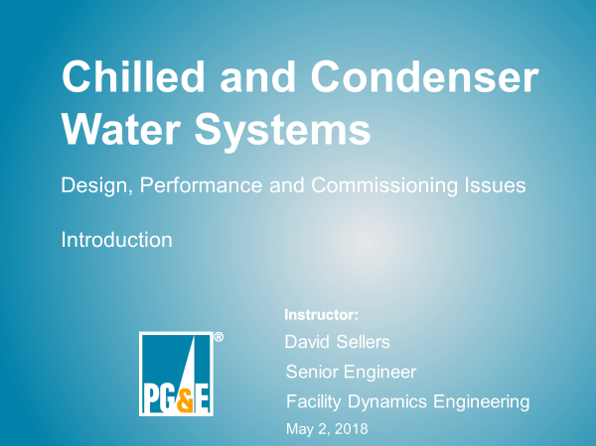 This is an all day class that focuses on chilled and condenser water systems and the files are from the most recent version of the class. 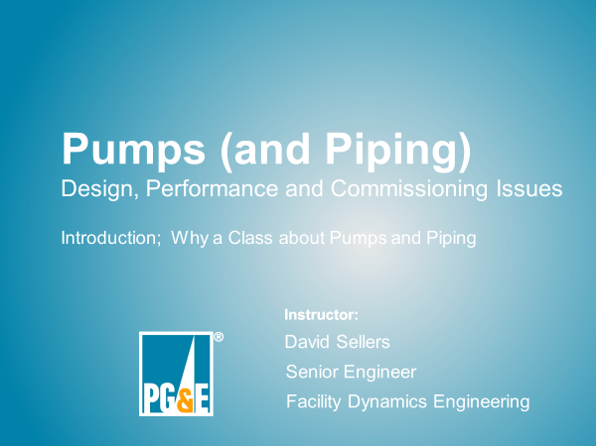 The link below will allow you to download a zip file that contains the presentation files for this class as .pdfs, along with all of the resources and exercise materials associated with the most recent version of the class. 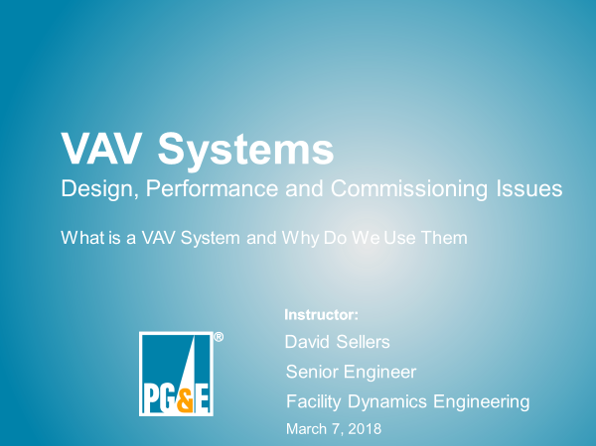 This is the space where I will upload the materials for the class Wednesday, March 7, 2018, on Variable Air Volume Systems. I have already started that process to get things done while I am traveling. But there will be some items that I will add later today or early tomorrow morning. So, if you download something today (March 6, 2018), you should still check back in the morning after 7:00 AM to pick up any additional materials. I will also post follow-up materials here after the class. The files below are the followup information from the class. The reason for two zip files is that one of the follow-up files is large enough that all of them combined together exceeded the size limits for an upload. One of the follow up items is best provided via a link. 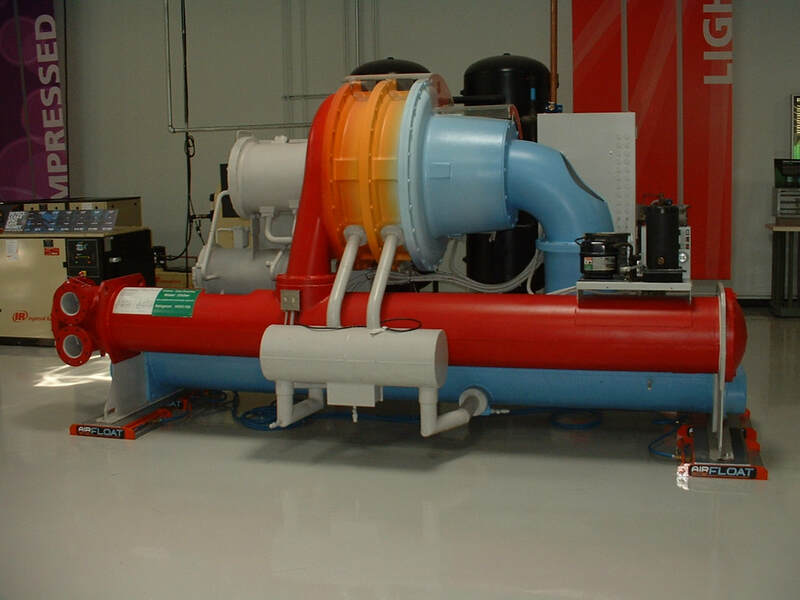 Specifically, several people asked about piping a cooling coil condensate drain. You will find an explanation of the things you need to consider at this link. Feel free to get in touch if you still have questions. 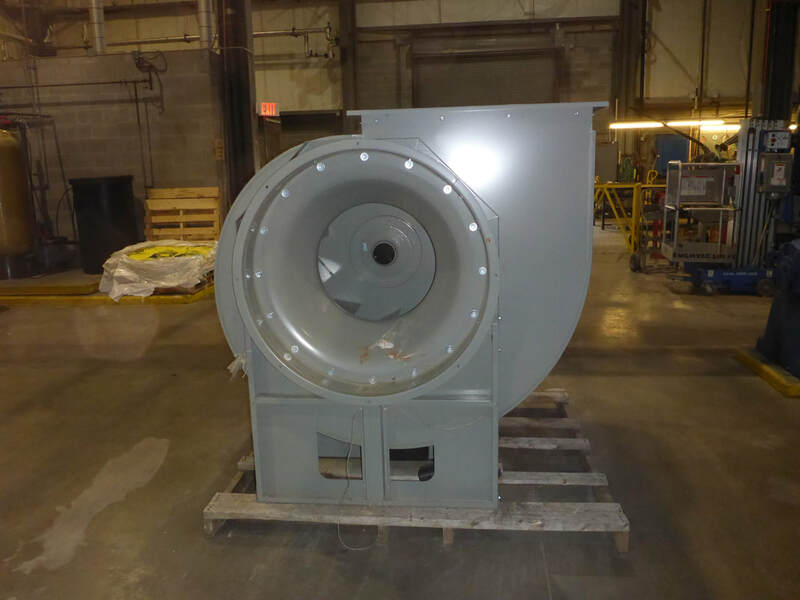 These are the materials from the Economizer class. 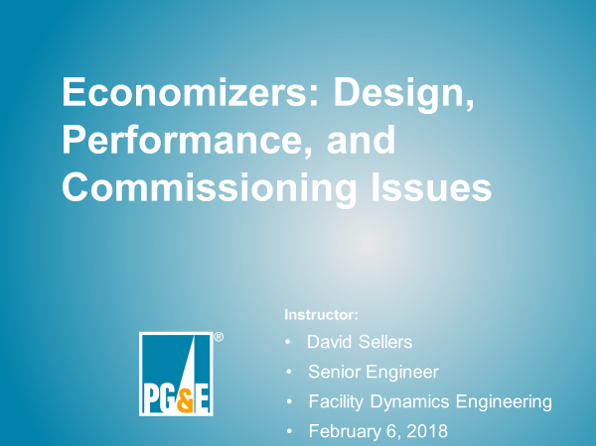 The class is focused on air side economizers, but the introductory section also discusses water side economizer and points you to some resources associated with them. 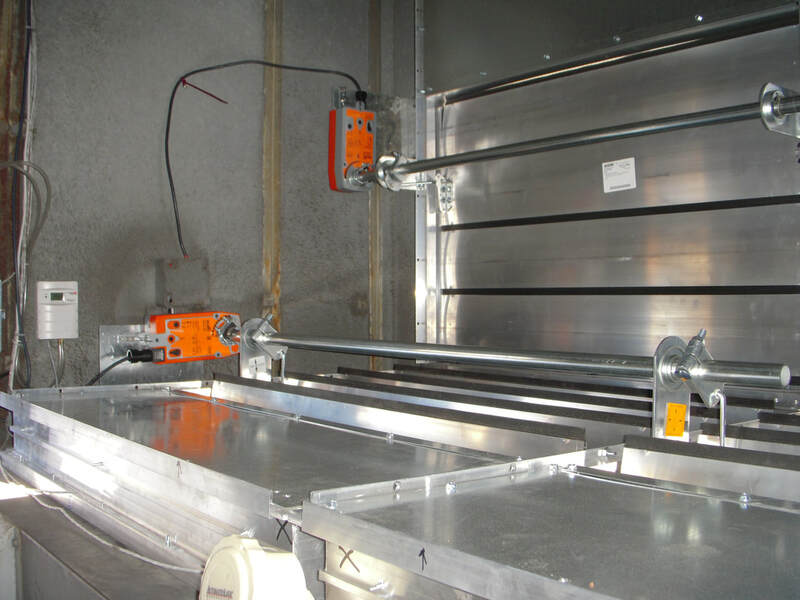 Either type has the potential to deliver significant savings by reducing the need for mechanical cooling if they are working properly. 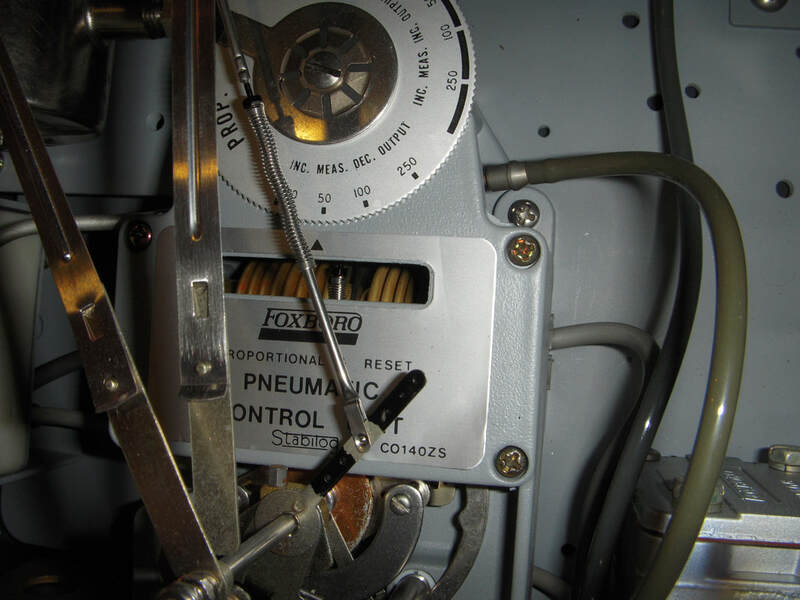 But in many instances, getting them to work properly is a challenge, especially for air side systems. The follow up information I mentioned that I would provide in the class is in the zip file below. Note that it includes a "Read Me" file that describes what each of the files and folders are. The links below will allow you to download zip files that contain the presentation files for this class as .pdfs, along with all of the resources and exercise materials associated with the most recent version of the class. Up until December of 2017, I was posting the materials I provided for the EBCx workshop under this section of this web page. But that practice was creating confusion for a lot of the students because the materials from the class are an amalgamation of materials from a number of instructors. In addition, some of the items Ryan provides are only available to class attendees and graduates and I can not provide them here since this site is open to the public. ​To address all of this, Ryan maintains an FTP site with a comprehensive download of all of the materials for any given session. If you do not know how to get to the FTP site and/or need the password, you simply need to contact Ryan via e-mail at R2S2@pge.com so he can give you the current access point and set up access for you. It would be desirable to include the words "EBCx Workshop Series Materials FTP Site Access" in the subject line to catch his attention. Meanwhile, as we transition to using Ryans FTP site as the access point for the class materials, I have moved the content that was at this location to a PEC Class Materials Archive page that I have set up. I will also continue to place my materials there so you can grab them before class if you want to in case your IT rules restrict using a flash drive, which is the way we generally pass things out in class. It is also an easy way for me to get the materials to Ryan in the first place, so you will always find my materials on the archive page. 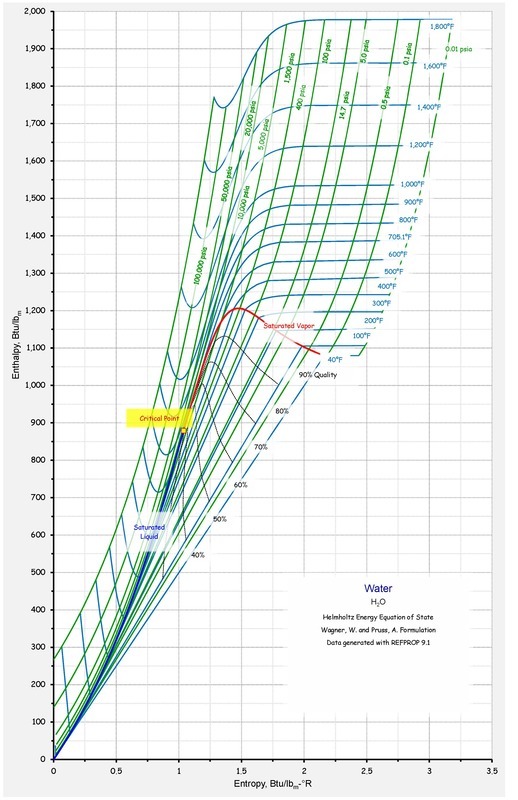 But I want to emphasize that the only way to get access to a comprehensive download of the materials is via Ryan's FTP site, as outlined above. Graduates of the Existing Building Commissioning Workshop are invited to attend an informal quarterly workshop where attendees share the projects and ideas with each other and along with mentoring by EBCx Workshop instructors. The files below are the materials that are shared during these sessions, including resources presented by the instructors. Since I just started the website, I have not posted the files from sessions prior to October of 2017. But if you are looking for something from a previous session, let me know and I will see if I still have it. Eventually, I will get it all up here. ​Note that I generally put a Read Me file in with the other files to explain what each of them is unless it is fairly obvious.